An innovative mixed-use project aptly named after a visionary local citizen is now complete and rising proudly as Bend’s newest downtown landmark. Putnam Pointe, christened in honor of former mayor George C. Putnam, features a blend of workforce housing – including affordable rentals and for-sale condos – together with ground floor commercial space on the prominent corner of Oregon and Lava adjoining the City’s Centennial Parking Plaza. The $13.5 million project consists of one below-grade level of parking, one ground level of retail spanning over 8,000 square feet, three levels of residential apartments and one level of condos. There are 33 apartment units and 11 condo units for lease and sale. The housing units are arrayed around the perimeter of the site with a courtyard occupying the interior. The ground floor common space includes the management offices, a lobby, a resident services facility and a community room. The five-story flagship building presented a number of interesting design and construction challenges, not least of which were the tightness of the site, the triangular geometry and the need to bore through rock up to 14 feet underground for sub-surface resident parking – all without blasting, which is prohibited in the city’s central core. Project manager Brendan Warren, of general contractor R & H Construction, said: “There certainly were some interesting dimensions to this assignment, including the amount of rock to get through and the pure logistics of loading and stacking on a zero lot line, in-fill development in the middle of town. “There was not a lot of room for lifts, and we used a mobile crane instead of a tower crane due to the long, skinny nature of the site and the consequent limits to maneuverability. “The decision was also made to flag rather than close the surrounding streets to be sensitive to the need to keep public access and business flowing around that central district during construction. Indeed, the structure was completed two weeks early – receiving a Certificate of Occupancy on April 30 – and had a grand opening celebration and ribbon-cutting ceremony May 13, attended by parties instrumental in the venture’s successful collaboration. Project superintendent Lonnie Brant was another key member of the team, bringing experience of working in the downtown hub, including the nearby Post Office and adjoining City parking garage which meant that he has been working in that area “pretty much constantly for the last three years”. Project architect Douglas Benson, of Portland-based MCM Architects, also commented: “Mixed-use is what is making the economics of development work right now. I think the whole team’s approach maximized the assignment’s potential – for what was essentially previously a surface parking lot, we have packed a lot into this site. “One of the biggest technical challenges was the underground garage – if we had had to access from the street, it wouldn’t have worked. Benson also alluded to the challenges of working on a site on which everything was perpendicular, commenting: “the City built their parking structure first, so they built it square on the site, leaving us two pieces at angles to work on. “Essentially, we had a puzzle to fit together, including delivering the minimum number of affordable housing units to make the economics work. We had to meet state tax credit criteria, including mandated minimum unit sizes and lower market rents, which meant a tighter budget as compared to a market-driven project. “It needed to fit in with the rest of the community and the design and materials took cues from downtown Bend, including a strong exterior masonry theme. “The ground floor is concrete, with wood floors above and we used materials that reflect a delicate balancing act between durability, attractiveness and affordability. “I think it was helpful that we had worked well with R & H previously in Bend, on the Eastlake Village apartment project, and collectively I believe we answered the call for something ‘important’ on what is perceived as one of the gateway sites to the City. Leasing agent for the retail units, Scott Gibbs of Lowes Group, said: “This is a unique opportunity for businesses to thrive in an urban mixed-use environment in a vibrant core of downtown. “Considering the building’s occupants, nearby hotels and surrounding population, there is the beginnings of residential stability to foster a vibrant downtown neighborhood, together with the availability of ample parking in the adjoining City garage. Benson also paid tribute to regional housing authority, Housing Works, Executive Director Cyndy Cook as being an early advocate for affordable housing in downtown Bend. She led the efforts a decade ago and after gaining political traction was instrumental in bringing on board private developer partner KemperCo, LLC, which specializes in urban development. Managing member Tom Kemper has over fifteen years in real estate investment, finance and development experience, including award-winning mixed-use commercial/residential communities. Community discussion of the need to develop affordable workforce housing began in 2001 with the release of the City of Bend Affordable Housing Task Force’s “Report to the Community”. One of the report’s recommendations was to increase the supply of affordable housing in the city through new construction. 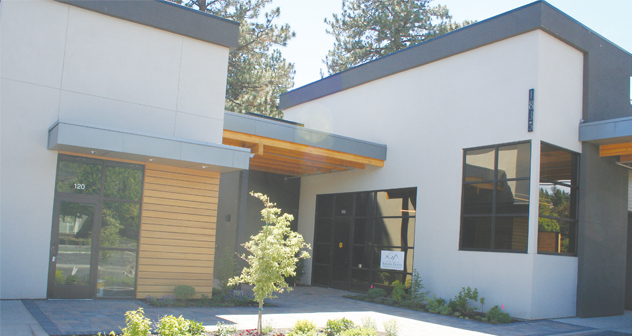 After meeting with various community leaders and with the support of the City of Bend, Housing Works developed a plan to construct the workforce housing in the downtown core. 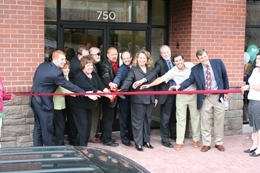 The organizations providing funding for the mixed-use building are the City of Bend, Bend Urban Renewal Agency, Oregon Housing & Community Services, Bank of the Cascades, Enterprise Community Investments, Inc., the Network for Oregon Affordable Housing, Housing Works, KemperCo, LLC, and the Hayden Enterprises Giving Fund. The project’s namesake, George C. Putnam, was a former mayor of Bend and the publisher and editor of the Bulletin in 1912 and 1913. Scion of a prominent New York publishing family, he was an author, an Arctic explorer, and the promoter and husband of Amelia Earhart. He left Bend to become the private secretary for Governor James Withycombe in 1915. Putnam built an Oregon newspaper empire that included the Medford Mail Tribune and Salem’s Capital Journal, later the Statesman Journal. Because of the significant impact of this long-awaited mixed-use development will have for future generations, Housing Works and its partners wanted a name for the project that would add meaning to the community and honor Bend’s past generations.